We enjoyed our stay, despite a very flat mattress and a very tight shower that leaked all over the bathroom when showering. For a small space, the only thing lacking was an inside sitting area. I gave one star because after the fact the owner hit me up for an additional 30€ for my wife, saying we had only booked for one person. This is my first time using HomeAway, and I honestly didn't see that I had done that. That being said, my very first message to the owner indicated we were a couple. And they didn't provide anything for a 2nd person, we had to share a towel. That's why I gave one star. I could understand if there was something extra provided, but 30€ for nothing is just ripping off a tourist you know will likely never return. I hope our upcoming HomeAway reservations go better. Devo dire che non sono affatto contento. Questo ospite ha concordato un orario per il ritiro delle chiavi, senza presentarsi. Dopo circa 30 minuti di ritardo lo contatti e mi dice che sta parcheggiano. Bene. Dopo un ulteriore ora lo ricontatto per sapere dove ha parcheggiato. Mi dice che é al.supermercato. lo.sollecito per il ritiro delle.chiavi. arriva e sono.due ospiti gli.spiego che la.casa è la prenotazione é per in ospite. Gentilmente dico semplicemente che c'è un extra. Non vuole pagarlo. Cosi ho fatto la.variazione sul sito. Semplicemente voleva fare il.furbo. e non pagare il.soggiorno. Homeway ha risolto il problema. Non consiglio questo viaggiatore. "The terrace of the apartment was amazing-great for a glass of wine in the evening. It was also great for our dog who was able to lay in the sun all day. The area was pretty safe and the owner was very helpful. The only disadvantage was the size of the accommodation, as the terrace was included in the square footage. All and all good place for short term stays." 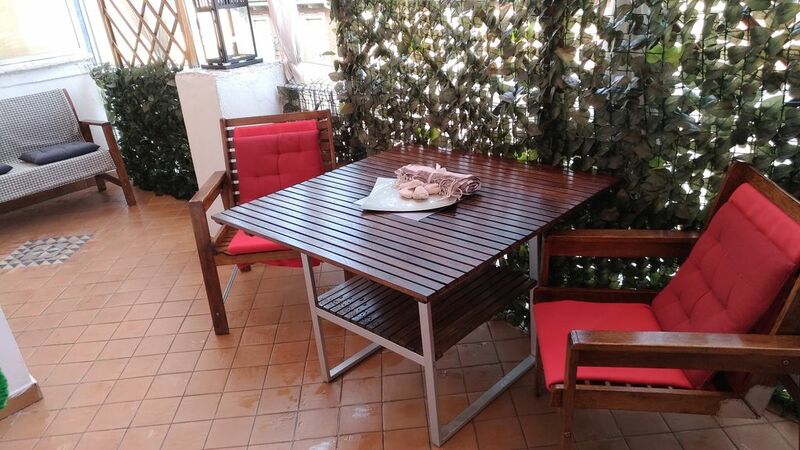 "The appartment is very cosy and well equipped with a beautiful tarrase. It is situated in a calm neighbourhood and in convenient junction with historical part of the city by public transport"
"If we visit Turin again we hope we can stay at this apartment. It was clean and in a nice neighbourhood. About 20 mins from the town centre by bus, which are very frequent. The bus stop is very near the apartment. What we loved was living in an Italian suburb away from the tourist spots. There is a fantastic market not far from the apartment which sells fresh vegetables, all types of Italian meat, fish and cheeses. One thing missing in the apartment for English people was a kettle to make tea. To sum up, its a compact studio flat, which was fine for our needs. However, people of large build may find the bath room a tight squeeze." Ho alloggiato in questo appartamento nel periodo di capodanno e devo dire che nonostante sia molto piccolo è ben curato e pulito. L'attico in questione è un po' fuori dal centro di Torino (circa 15 minuti di bus/tram) ma i mezzi per raggiungerlo non mancano e le fermate sono abbastanza vicine. Devo dire però che non è il massimo trovare alimenti nel frigorifero scaduti da molto tempo, col rischio che vengano mangiati. Nel complesso è stato un soggiorno soddisfacente. Vi ringrazio, per la recensione e per i suggerimenti. Non sono previsti o forniti alimenti di nessun genere.